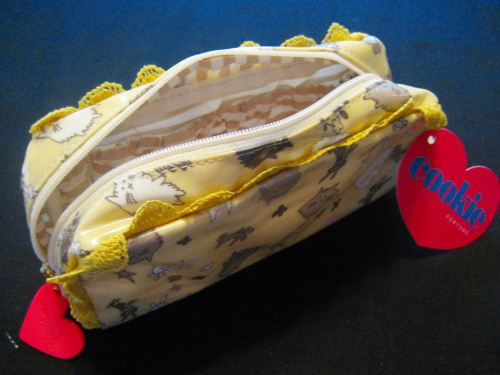 This cosmetic bag is made in triple collaboration with PUFFY,COOKIE fortune and spring. PUFFY(Ami and Yumi) is a Japanese rock duo. spring is a Japanese fashion magazine. I love the picture of Bunnies and Cats are playing. It’s really like PUFFY taste !! Wow! My girlfriend loves Cookie Fortune but it is not available many places in America. 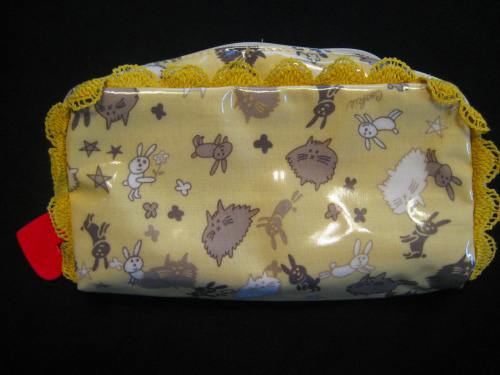 Your makeup bag is very cute. I would like to buy one for my girlfriend. Where did you buy yours? Do you know anywhere on the internet that sells Cookie Fortune? Thank you for your cute blog. It is fun to read! Here is webshop of COOKIE FORTUNE. But it’s only in Japan. You might buy it if you use the service of these sites.